How do you view the connection between employee engagement and the employee value proposition (EVP)? Last year I was invited by an Asian client to propose a two day workshop on an employee value proposition. This is not my usual work but I was intrigued by the connections between employee engagement and the employee value proposition. Because of other circumstances I was unable to deliver the workshop. I encourage you to read the proposal and offer your comments about connections between EVPs and Employee Engagement. Examine the current state of employee value propositions including strengths and limitations. Assess and apply the key criteria for effective employee value propositions. Determine best and test practices in creating a compelling workplace for employees. Review the current status and impact of your organization’s implicit or explicit employee value proposition. Ensure the EVP moves from a strategic exercise and cogent written document to an action promise within the organization. Focus the EVP to ensure it meets the actual perceptions and needs of employees. Overcome roadblocks and barriers to effective employee value proposition adoption. 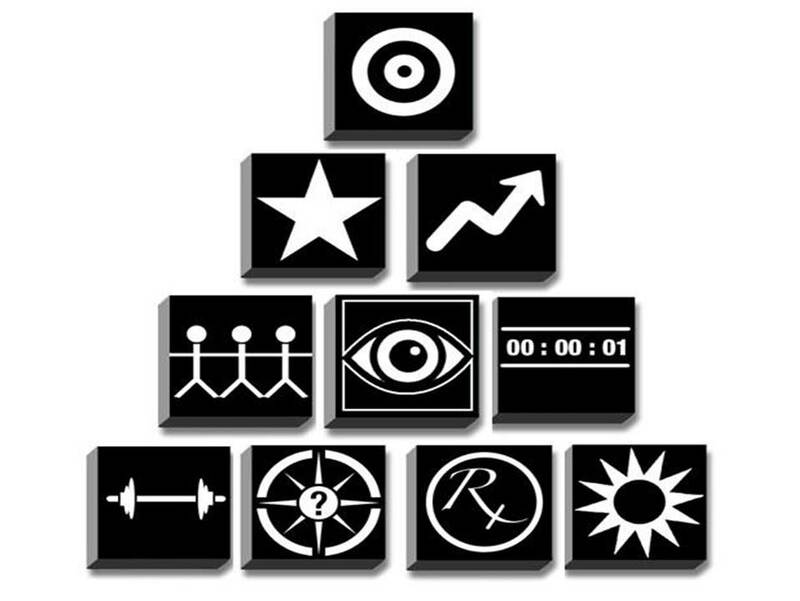 Leverage Zinger’s ten- block pyramid of employee engagement to create a robust eclectic and evidence based approach to an engaging and powerful workplace. Ensure the employee value proposition acts as a powerful tool to help your workplace master the way work is approached and achieved in this decade. The relationship between employees and organizations has been shifting over the past dozen years. Organizations are witnessing and experiencing disconcerting levels of disengagement that can range from 20% up to 70%. The annual economic toll of this lost productivity around the globe is over $600 billion dollars. Today’s workforce is looking to receive value and organizations are struggling to determine how best to attract, retain, and engage the workforce in this decade. Just as the organization is striving to derive value from employees, employees are expecting to derive value from the organization. Although the value employees want to derive still includes monetary compensation it has become a potential bundle of benefits, perks, and ways of working. The employee value proposition (EVP) is a powerful tool and practice that has been used the last decade to make an organization more attractive to its employees. A well-constructed and delivered EVP offers a systematic way to weave together talent, internal brand, engagement, work, leadership, recognition, rewards, behaviors, and other elements to attract, retain, and engage employees. Organizations that had an EVP had 4 times the commitment level at commencement; the commitment was sustained over time and the salary premium required to attract employees was about half of other organisations that lacked a clear EVP according to research from the Corporate Leadership Council,. An excellent EVP also doubles the likelihood that employees will act as advocates for the organization. According to Towers Watson only about 1/3 of global firms have an EVP and 39% of organizations in Asia have an EVP. Yet, high performing firms are 10 to 18% more likely to have an EVP than average or low performing firms. Weaving together the diversity of talent, brand, engagement, and work practices the EVproposition is a strong declarative branding statement and practice of what you offer employees who work with you. Through a combination of presentations, stories, tools, practical exercises, and recorded interviews with EVP practitioners this workshop is designed for senior managers, directors, and key decision makers. The workshop will help you address the real issues and challenges you face in engaging, retaining, and developing staff. 50 Word Discussion Case #1: Why bother? Example 1: Apple Inc. and the day one memo. 50 Word Discussion Case #2: Where do we start? Do you have an EVP champion/champions? Example: EVP statements and diagrams. EVP mapping activity: Our current location and ETD (estimated time of departure). 50 Word Discussion Case #3: Is there a best EVP? Examining social media tools as part of the EVP framework. Viewing our organization as invitational hosts to employees. What is the brand and brand promise. 50 Word Discussion Case #4: What is your story? Can we be the key for every door? Is your EVP relevant and real? 50 Word Discussion Case #6: We can’t get buy in. The workshop will help to improve where you work. Bringing clarity to the value proposition can improve current practices, determine gaps, and help set future directions to enhance the connection between employee and organization. This workshop offers you a unique opportunity to work with David Zinger. Mr. Zinger brings a fresh and powerful approach to EVP that goes beyond HR, branding, marketing, and communication tactics. He knows the workplace from the inside out as the former employee assistance counselor and career development coach for Seagram. David Zinger offers no nonsense, creative and practical tools that will enliven the two days and enrich the action learning you take with you back to your organization You will be given time, connections, and tools during the workshop to draft an EVP or to review and overhaul your current EVP. You will map out your current state, your desired state, and address roadblocks that may prohibit or inhibit successful application of the EVP to acquiring, engaging, and retaining valuable employees.